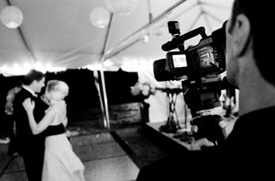 Selecting a wedding videographer to videotape your ceremony and reception should be done with care because the finished product will provide the memories of the day for many years to come, and if any mishaps occur or improper techniques are used during filming, the end results are irreversible. To obtain a polished video, it is essential to use high quality recording and sound equipment with precise microphone placement, and where one camera is sufficient for the reception, superb results are obtained when two or more are used during the ceremony. This level of service should be available at most any professional video recording studio. Although it may be desirable due to budget restraints, hiring Uncle Charlie to capture the event on his smartphone is not always the smartest way to cut costs. Therefore, consider hiring a professional to do the job. 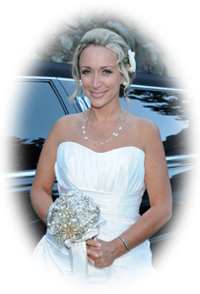 To help simplify the selection process, follow the guidelines below in an effort to make an informed decision in the search of a qualified cameraman for your wedding videography. Can we view a demo video of your previous work? Do you have an actual wedding video we can view as opposed to just highlights? 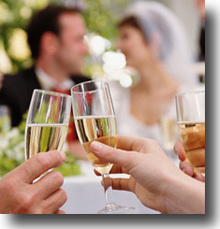 Are you familiar with our wedding and reception venue? Have you shot at our chosen location before? How many cameras will you use for the ceremony and how many for the reception? Where will you position yourself and the camera(s)? If we have a large bridal party, will they block the camera’s view where they’re positioned? Is the camera equipment you use high definition? Will you have a backup camera available should your primary equipment fail? Will you use additional lighting beyond what’s provided at our chosen location? What attire will you wear for the wedding? How many hours of recording does our selected video package include? Does the video package selected require us to pay additional fees if the event runs late? Will the edited video contain a short clip of the highlights of the day? Will you allow us to choose the music to use for the highlights? Are we able to acquire all of the raw footage of everything that is shot? How many DVD copies will we receive and how much are additional ones? Can you give us any references for whom you’ve completed recent work? Hiring a professional wedding videographer is money well spent if it is not cost prohibitive and falls within your wedding planning budget. Hiring a friend is tempting, but keep in mind that there are a lot of techniques professionals use in the recording and editing process – techniques that are well beyond the scope of an amateur – that will produce a high quality video you’ll definitely want to watch more than once. By asking just a few key questions, a skilled professional can be attained that will preserve, unsullied, the memories of an event of a lifetime, an occasion that offers only one chance, and one chance only, to do it right. 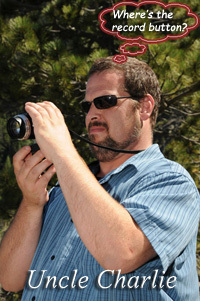 For more information about hiring a professional videographer or to inquire about what’s included in our wedding videography packages, explore our website at www.laketahoeweddings.net and see what we have to offer.